Joseph Kerschbaum is a poet based in Bloomington, Indiana. Here you'll find info about his books, readings, and new publications. Consider how everything in your life can change between exiting and entering your front door. This is where these poems operate. 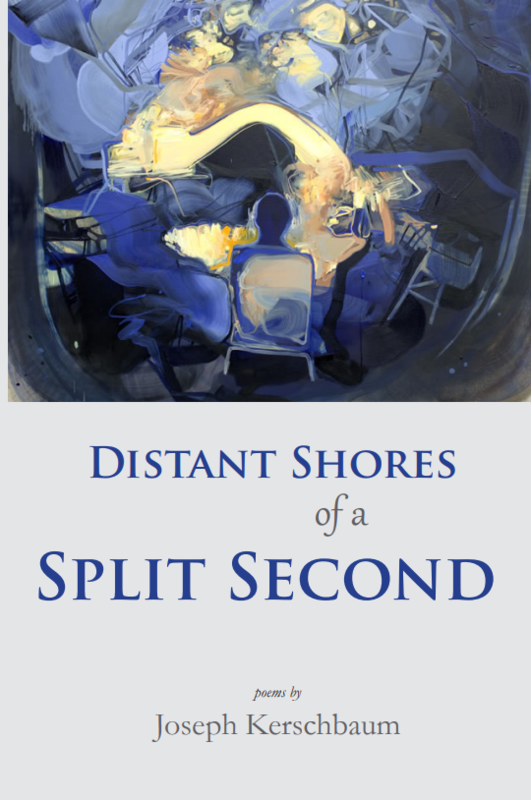 Distant Shores of a Split Second explores the small, unexcepted corners where fault lines erupt and change your life. The poems in this book distill those cataclysmic moments and the reader explores the complicated shores of the aftermath. Published by our friends at Louisana Literature Press. The amazing artwork for the book was provided by Dana Oldfather. Ms. Oldfather is represented by Zg Gallery in Chicago. Ken may be the narrator of this collection but the topics of these poems are wide-ranging. Ken is just a doll, but his core concerns are universal: individuality, identity, masculinity, loneliness, destiny, purity, passion, and the list goes on. Like anyone, Ken is looking for his place in the world. 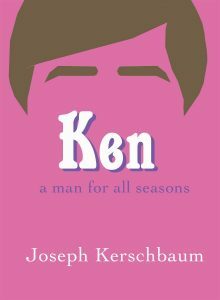 More precisely, he is questioning his predetermined place in the world.On the surface, Ken: a man for all seasons seems to be about a doll. It is about a doll. Written from the perspective of Barbie’s famous boyfriend, the voice of Ken is harsh, cynical, sad, and humorous. Ken is the All-American man, yet no one is certain what that really means anymore. After reading this book you will never see Ken in the same light. And maybe yourself too. This is Joseph’s second book with Plan B Press. Your Casual Survival is Joseph’s fifth book of poems, published by Plan B Press. We’re super excited about the book and we’re excited to be working with Plan B Press. They publish awesome books. If you’re interested in the cover art for the book, it was done by Amy Casey. She is awesome! The cover is absolutely gorgeous. You can learn more about Amy at her website here. 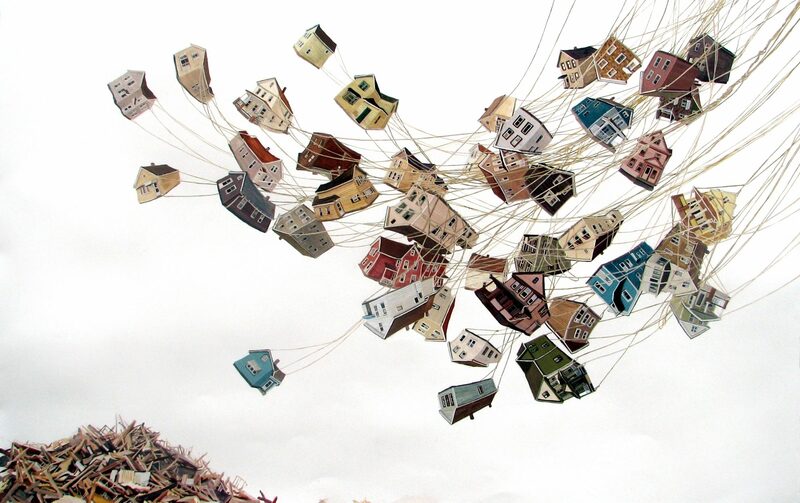 Amy also provided artwork for the most recent Neko Case album, Middle Cyclone. And this is awesome because Neko Case is amazing. Also, Amy was recently featured on the cover of New American Paintings. With this collection, Joseph explores how loss and survival are two sides of the same coin. The poems in this collection are sharp in focus, expansive in subject matter, all with a taught construction and fluid motion of language. Throughout the book, there is a sense of longing for an unknown factor. Often the speakers/characters in these poems are searching for something – but they aren’t completely aware of the solutions they seek, or even that they’re searching at all. Even the title of the collection exemplifies this theme. Here, the injured/handicapped are longing for something they can’t have; sign language. Why not use their mouths to speak? Perhaps it’s all wrapped up in this sense of inability and loss. Published by Pudding House Press. Our Voices Sound Like Silence is Joseph’s sophomore spoken word CD. This time around he collaborated with Josh Johnson: a musical powerhouse. For this album, Josh Johnson has composed (and performed) beautiful, expansive melodies. The result is a spoken word album that is solely unique, thought-provoking, timeless, and it rocks. Joseph and Josh think of this album as a collection of 11 “tonal paintings.” The method of “tonal painting” is when a poet and composer try to capture the essence of an image or idea through sound – using instrumental colors, textures, dynamics and articulations that might connect the mind’s ear and eye to these images. The poems and music on this album are shocking, heart-breaking, and heart-healing. You won’t hear anything else like it anytime soon. You can read a review of Our Voices Sound Like silence the Bloomington Alternative. You can listen to Our Voices Sound Like Silence on Spotify HERE. A meditation on dissolved passion, alienation and infidelity, Joseph Kerschbaum’s Dead Stars Have No Graves is an intricate, book-length poem that explores the gravity residing in language, and the weight and power one single word can contain. The book opens with a question; it closes with the question’s answer and in between is an intense, interwoven narrative of hope, regret, and love lost and found. This stark, daring book is a bold step forward in a young poet’s career. Read a review of Dead Stars Have No Graves in the New Hope International Review. Here is another review in the Boston Small Press and Poetry Scene. Poets like Frank O’Hara and Anne Sexton have fascinated readers with their intelligent wit, poignant insight and biting realism. In The Composer Steps into the Fire, Joseph Kerschbaum illuminates human emotions and experiences with similar unapologetic clarity. Each word on the page and each poem’s placement in the book are painstakingly arranged, allowing The Composer Steps into the Fire to offer a breathtaking array of verse. From bare-boned expressions of personal loss to complex waltzes through rich memories, Kerschbaum’s expressions of modern society are both edgy and sensitive. The ironies of human interactions don’t escape his observation, but neither do subtle instances of beauty. My eyes gasp for light. until the sun rising is the sun setting. As compelling to the ear as it is to the eye, The Composer Steps into the Fire is intriguing, confessional verse translated into a captivating arrangement of sounds and imagery. Read a review of The Composer Steps into the Fire at decomP literary magazine. A lo-fi spoken word CD from an emerging, young poet (and spoken word artist). Joseph Kerschbaum’s first spoken word CD is subtle and stark but yet touching introduction to his work. This disk ranges from quiet, personal introspections where words almost aren’t sufficient to encompass what needs to be said — to dark, abstract worlds conjured by alienation and inability to get anything right. 1 of 29 is a collection of new, unpublished poems mixed with a number of poems from Joseph’s first full-length collection of poetry The Human Remains. 1 of 29 will leave you chilled to the bone but with a warm heart. You can listen to 1 of 29 via Spotify HERE. The rich, the poor. The mighty, the weak. The blessed, the cursed. In the end, all you are is human. The essence of being human is a fluid line of an existence that encompasses all who live. The masks we use to hide behind have a day coming that will drag them to the ground, and all that will be left is the countless wreckage of bruised faces. In the end, writes Joseph Kerschbaum in his collection of poems, The Human Remains, all you are is a car accident without impact. But the human…the human remains, scattered everywhere like ash. And beneath the ash, we wait, like buried diamonds wanting to be found, eager to be loved. The Human Remains is Joseph Kerschbaum’s first full-length collection of poems. The majority of this collection was written while he lived in Prague and traveled Europe.